Just because I like the way they all look together, my flash of red month from calendar. Love the way the red Valentine's Photo is central! It's been fun trying monochrome as I have not really done it since my film days many moons ago. I have enjoyed trying to find texture, negative space, leading lines, a series on my family's hands and contrast, I shall look forward to it again next year, though I think I shall take more monochrome before then somehow! What a stunning achievement! Congratulations! Wonderful flash of red collage. Great calendar and captures with a super flash of red. Ta da, round of applause and a lovely courtesy. Well done, they look gorgeous together. Even the scarecrows look less intimidating when you see the pictures in a group. 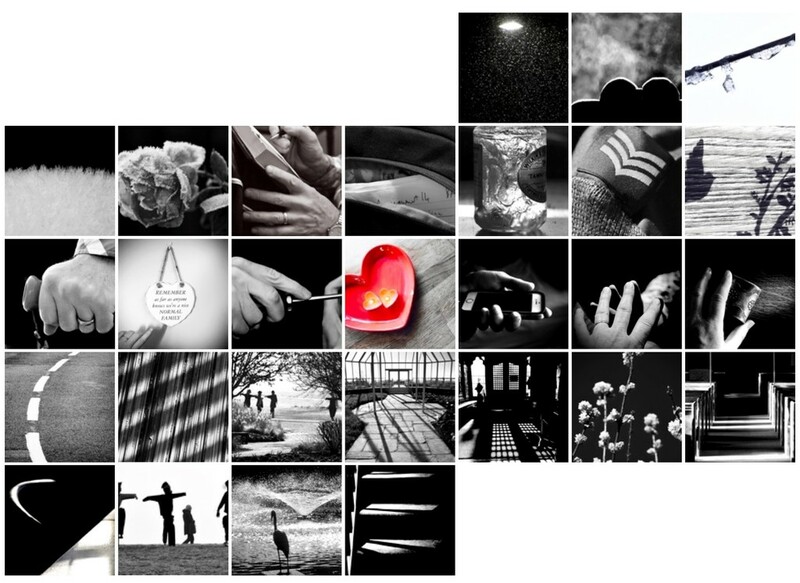 This is an effective way of showing your February images, especially that nice pop of colour in the middle! Great collage, good idea too, maybe I'll get round to doing that one day. Your calendar looks wonderful! I'm so glad you enjoyed the month and will continue to put some black and white in every now and then. Great job! !